The main reasons for parking a domain name include – giving your website a number of domain options – you might be registering several similar domain names that you want to all point to the same website and hosting. Or maybe you just want somewhere to park a separate domain name you’ve registered that you don’t wish to purchase a separate hosting plan for but would still like to use this domain for email addresses. Parking a domain to your account will give you another address by which you can access all of your hosting services ie. your website, FTP, email addresses etc. For example, if your website’s domain was yourdomain.com and your email was you@yourdomain.com and you choose to park yourotherdomain.com to your account – then your site will also be accessible from this domain. Any emails sent to you@yourdomain.com or you@yourotherdomain.com will reach the same inbox. 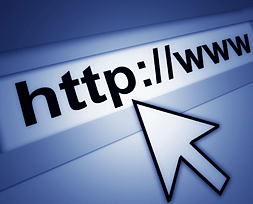 To park an extra domain name to your account there are two simple steps. Step 1. Update the Name Server information of the domain name you want to park, to the Name Servers of your WEB24 Hosting Account. If the domain you wish to park has been registered through another domain registrar, you will need to visit them and use the domain management tools and login they have provided you. If you have registered the domain through WEB24 you can update the name server info of your domain name by logging into your Client Area and selecting My Domains to visit your domain management page. Please be aware that due to propagation, changes to DNS entries can take up to 24 hours to spread globally across the internet. Once logged in, click on the Park Domains link. From here you can add the domain name you wish to park. Click Add and you’re done! cPanel will automatically add the domain to the DNS of your hosting plan.